To overcome the degradation and loss of UHD HDMI signals when transmitting along a length of CAT5e/6/7 cable, use the HDMI to HDBaseT Scaler with Audio Output. A CAT7 cable will support a transmission distance of 100m, while CAT5e/6 cables are limited to 70m. When transmitting lower resolution video, generally the overall distance will increase. The higher the resolution the less distance is travelled before signal degradation occurs. To assist with initial installation, a series of basic test patterns can be internally generated for remote-site setup of the display. The HDMI to HDBaseT Scaler with Audio Output incorporates HDBaseT 5Play convergence, supporting High Definition (HD) Video and Audio, 100BaseT Ethernet, Power over HDBaseT (PoH) and Control Functions like Bi-Directional IR and RS-232 pass-thru. The HDMI version of v1.4 is the standard compliance, but the HDMI to HDBaseT Scaler with Audio Output is also fully compatible with HDMI 2.0 standards, 6G 4K, HDCP 2.2 and DVI capable using suitable adaptor. 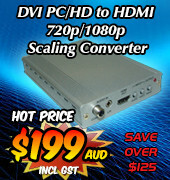 Loaded with extras, the HDMI to HDBaseT Scaler with Audio Output has an HDMI output port for real-time monitoring of transmitted signals using an HDMI TV. UHD 4K video resolutions are supported along with up to 7.1 LPCM audio, Dolby Digital 5.1, DTS 5.1, Dolby Digital Plus, Dolby TryeHD, Dolby Atmos and DTS-HD Master Audio (Bypass). 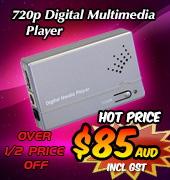 An in-built audio extraction function allows for LPCM 2CH audio to be output as analog stereo audio and when connected to an external sound system, you can listen to the HDMI sound track. The comprehensive On Screen Display (OSD) makes the management of all aspects of installation and testing of the HDMI to HDBaseT Scaler with Audio Output extremely easy. From setting the output video resolution and audio parameters, through to configuration of EDID, HDCP and test pattern requirements, this powerful tool will enhance the viewing capabilities around your Business complex or Private home. 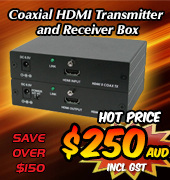 ID#15462, "HDBaseT to Dual 4K HDMI Scaler with Audio Re-embedding"
For more details regarding the operation of the HDMI to HDBaseT Scaler with Audio Output, please click here to access the product webpage. You can read about the Features and Specifications and the User Manual is free to download at your convenience. Simply "Add to Cart" to begin the 3 step checkout process, or email an enquiry with your requests to: .